A sumptuous mix of luxurious purple Freesias and white Roses, complimented perfectly with tree ferns. 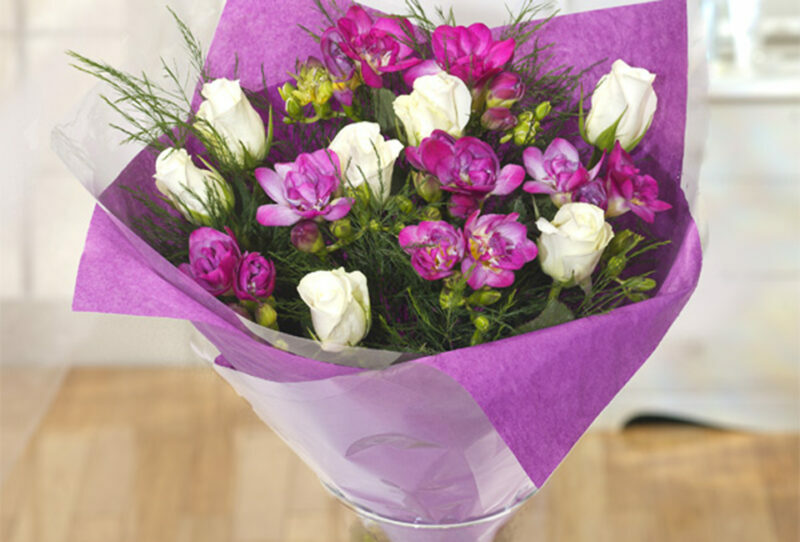 An enchanting, fragrant bouquet. The deluxe size includes an extra 50%.